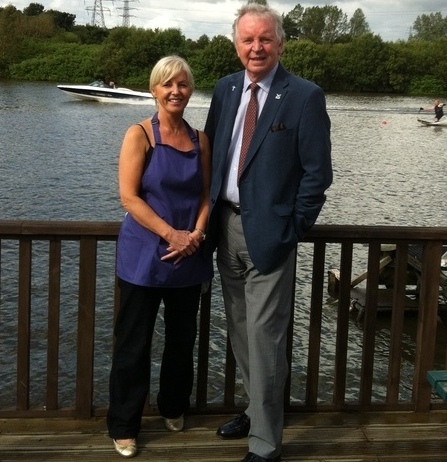 Mr Walker said: “The Scottish National Waterski Centre is an important Dunfermline attraction, so I’m very pleased to see the improvements. In addition to being Scotland’s national training site, it is regarded as one of the best ski facilities in Europe. “The new family-run Loch Café is excellent. It has a full menu of light meals and is open all year round to the general public. There are great views of Town Loch, so there’s plenty going on for customers to see and chat about. “Marie Hendry, who runs the café, has years of catering experience and is very professional and welcoming. She has put so much into getting this project off the ground. “She reports that the first week since the launch has gone very well, with lots of café customers keen to try water-skiing. Since Town Loch is ideal for new and experienced skiers alike, it’s very welcome to hear that the café is encouraging new business for the waterski centre, and vice versa.